WWI Profile: William Frederick Brooks 1892-1918 | Friends of Fort Caswell Rifle Range, Inc.
William Frederick Brooks was born and raised in Shallotte, NC, where most of his family remained throughout their lives. The 1900 Census lists his father Fred (1850-1922), with mother Mary E (1885-1927) having seven children, all living. Besides those listed: Charles J (b.Mar.1885), Carrie D (1887-1929), Hattie J (1889-1969), William F (1892-1918), and Mary E (1900-1972), the 1880 Census lists John (1871-1937) and Joseph B (b. 1873). His father, mother, and sisters Hattie and Carrie are buried in Pleasant View Cemetery. His brother John’s death certificate also shows his burial at Pleasant View Cemetery, and his sister Mary’s death certificate shows her burial at Bellevue Cemetery in Columbus Co, NC, but neither are included in findagrave. His other brothers’ gravesites are unknown. William’s WWI Draft Registration of June 1917 lists his occupation as farmer in Shallotte, NC, and unmarried. William was ordered to report for military duty on March 29, 1918. (source:ancestry.com) He was one of a total of 25 African American men from Brunswick County ordered to report that day. The destination was Camp Grant, in Rockford, IL. 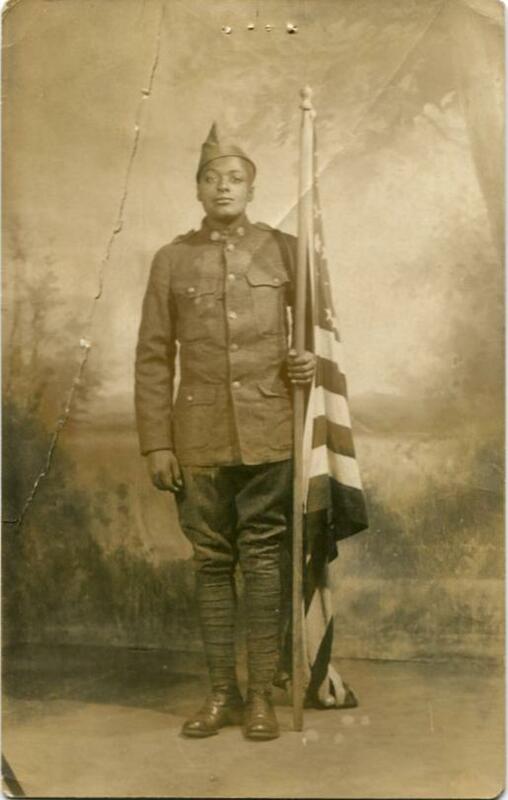 Very few African Americans were given the opportunity to serve in combat units during WWI. But the War Dept had created two divisions, the 92nd and 93rd, which were comprised of primarily African American combat units. Most of the officers (up to the rank of first lieutenant) in the units were African American. 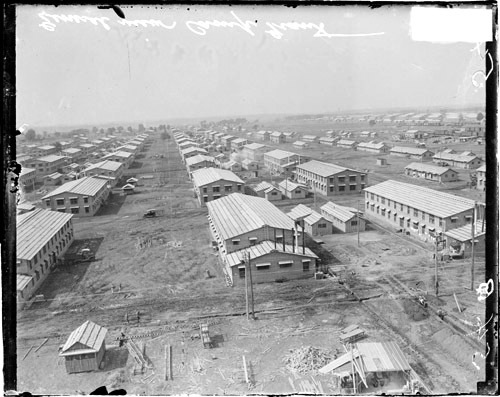 At Camp Grant, only three of the draftees from Brunswick County out of the original 25 were chosen for the honor of a combat position in the 92nd Division. The three men were William Frederick Brooks, William James Gordon and Robert Bollie Stanley. These men began training with Company H, 365th Infantry, 92nd Division in preparation for combat in France. Photo source: 92nd Division WWI History. Photo courtesy of Warren County, NC, WWI Service Records. There are no photos of Pvt Brooks, but presumably a photo like the one here would have been taken of all three soldiers. This photo is Richard E. Pennington of Macon, N.C, who served with Company E (rather than Company H), 365th Infantry, 92nd Division. The 365th Infantry was scheduled to board the U.S.S. Agamemnon at Hoboken, NJ, on June 10, 1918, to travel overseas to France. 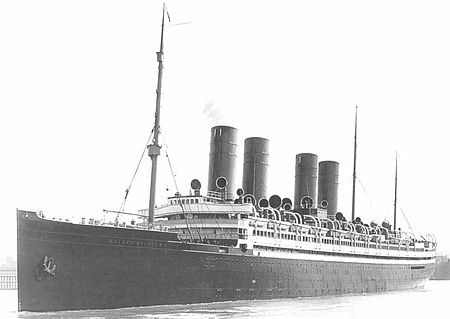 The second SS Kaiser Wilhelm II, named for the German Emperor, was a passenger ship built at Stettin, Germany, completed in the spring of 1903. The ship was seized by the U.S. Government when it declared war on Germany on 6 April 1917, and work soon began to repair her machinery, sabotaged earlier by a German caretaker crew, and otherwise prepare the ship for use as a transport. She then served as a transport ship under the name U.S.S. Agamemnon. There were rumors during the war that Kaiser Wilhelm had offered a reward of 5000 marks to the sub commander that hit it, but this goal remained elusive. The U.S.S. Agamemnon was victorious and returned troops home after the war. All three men’s names are listed on the US Army Transport Service passenger list. Private William Brooks’ name is crossed out. Sadly, Pvt William Frederick Brooks died of meningitis three days later on June 13, 1918. A death certificate has not been found. He could have remained in Illinois while the soldiers boarded the trains to NJ, he could have become ill somewhere during the trip, or he could have passed away in NJ. 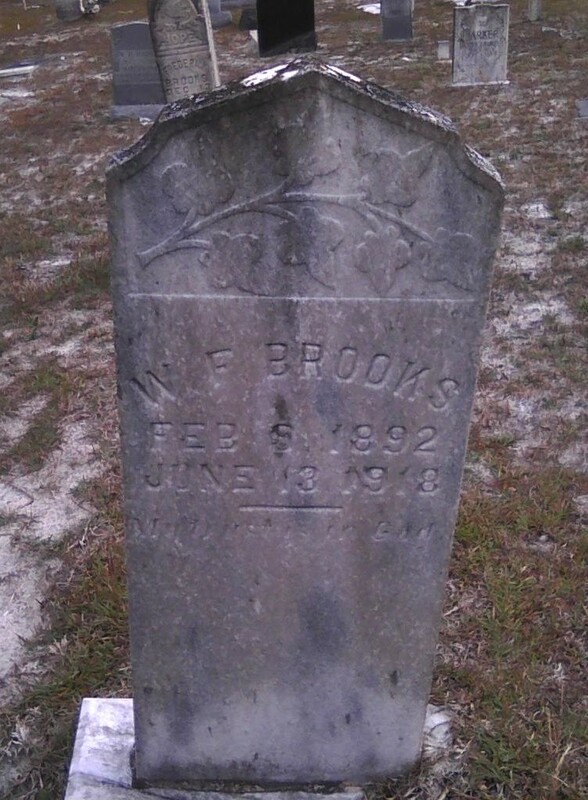 Pvt William Frederick Brooks was laid to rest in the same cemetery as some of his family. A military headstone was not requested, so no WWI honors are displayed, giving no indication that he gave his life while serving his country. He was only 26 years old.